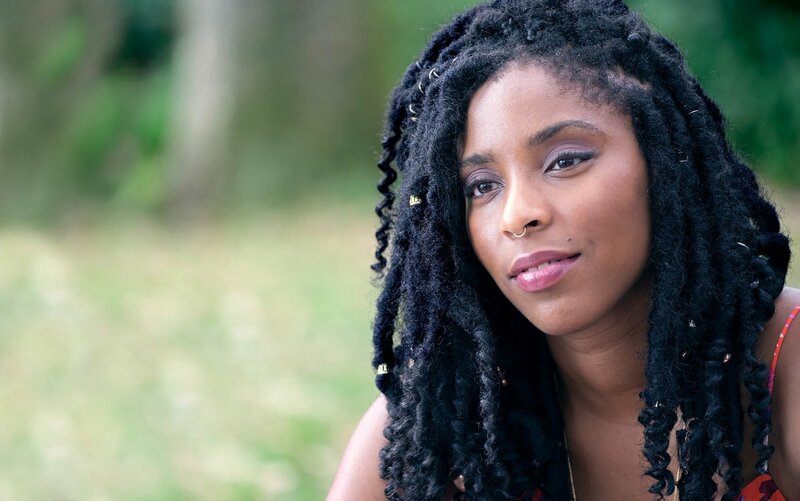 Jessica Williams, well-known to viewers of “The Daily Show,” stars as the title character in the Netflix-original movie The Incredible Jessica James. Jessica is a playwright in New York who’s brimming with confidence but is still having trouble navigating her life, particularly romantic relationships. Having broken up with her longtime boyfriend (Lakeith Stanfield), Jessica is on the rebound and so is setup by her friend Tasha (Noel Wells, magnificent in the first season of “Master of None”) on a blind date with Boone (Chris O’Dowd). As the two begin a tentative romance, Jessica continues to believe she’s the absolute bomb and begins to find some professional success. A poster shows off James, of course, and that’s great. What’s not so great is the “Likes are easy, love is hard.” copy that’s at the top. That’s a bit breezier than the rest of the campaign, making it seem like this is a story about the disconnect between the online social and the real world, which isn’t what is being sold elsewhere. Still, it’s a striking image that’s being used, with a fun patterned background behind James’ face. 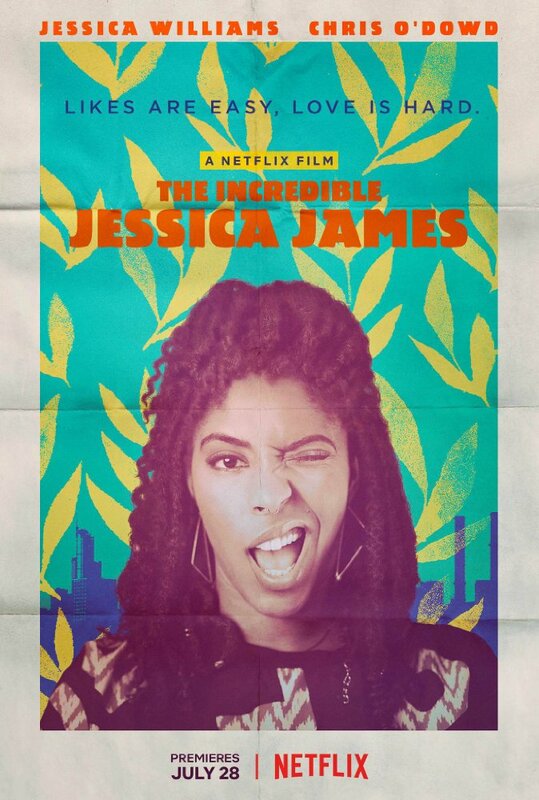 The first trailer introduces Jessica as a take-charge free spirit who shuts down her Tinder date and dances without judgement in her apartment stairwell and gets guys on the subway to put their legs together. That’s about it, but it’s full of quotes from critics who have seen it praising Jones and her performance, which appears to be absolutely warranted. The second trailer is just as amazing as the first, but includes more of a focus on her new relationship with Boone. We see her out partying with her friend Tasha, dealing with a boyfriend who can’t express himself, causing some uncomfortable moments at a baby shower, dancing like no one is watching and generally feeling comfortable in her own awesome skin. No website or social presence I was able to find. As usual, Netflix didn’t feel that was necessary but did give it some promotion (though not as much as their original series) on their own social channels. No paid efforts I’ve seen anywhere. The first bit of publicity came when it was announced the movie would have its official premiere at Sundance 2017. Netflix picked it up before it even had a chance to screen and wrack up incredibly strong word of mouth coming out of the festival. There were various interviews Williams did in the weeks leading up to release, but the biggest pop came in a feature interview in The New York Times. There she talked about her career to date, writing the movie and more, including touching on sexism, racism and other hot-button topics in her usual no-holds-barred style. More than anything, this seems like a movie that’s both intensely current and also a throwback to a different time. It’s “right now” in how Williams’ character is a strong, proud, confident black woman who’s in charge of her own destiny. That’s a very current message that fits squarely with where we are in society at the moment. But the movie seems like the kind of indie-financed starmaker that existed more in the late 90s or early 00s. That’s not a bad thing, just indicative of how things have changed in the last 20 years. The campaign, just as James describes herself in the trailer, is friggin’ dope. That’s largely due to Williams, who is the unquestioned central focus of the campaign and who seems to dominate every frame she’s in through sheer force of will. She’s a larger than life personality and the marketing promises the chance to follow along with her and get a glimpse into her life. I continue to wish Netflix would do a bit more to promote their original movies, even if they aren’t giving them theatrical releases like Amazon, but that doesn’t appear to be in the cards here.